Zanmi Lasante (ZL) works to promote health and social justice in the most destitute communities and considers health to be a human right. For more than 20 years, Zanmi Lasante (the Haitian branch of Partners in Health) has been providing vital health care in Haiti, and in doing so the organization is one of the largest health care providers in the country. ZL works together with the Ministry of Health in Haiti in establishments located on the Plateau Central and in the Artibonite Valley. The vast majority of ZL employees are themselves originally from those same communities served. ZL employs approximately 4,000 Haitians. The work of ZL begins with medical care but does not end there. ZL understands that disease is an integral part of the cycle of poverty and ZL is committed each and every day to eradicating it at any cost. Through long-term partnerships with other organizations and the government, ZL offers free first-line health care and treatments against complex diseases such as AIDS and tuberculosis. 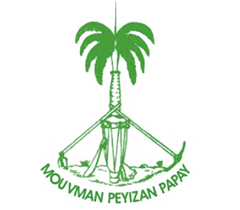 The Papaye Peasant Movement is an organization of peasants whose goal is to unify all the peasants of Haïti and to gather organized rural young workers in order to promote them culturally and economically. The Papaye Peasant Movement (MPP) wants to gather all the poor peasants (men, women, youth, and children) from all the corners of Haïti in a large national movement to fight to build a Haïti where everyone finds life. The organization fights, among other things, for food sovereignty, decent jobs and education for all, health care made available to all, decent housing and recreation, for freedom of conscience as well as for freedom of speech. – Working to build the countryside as a desired place for people to live, work and raise families. Summits believes access to a quality education is a human right. Together with the population, they’re building education systems in rural Haiti to meet the needs of the whole child. By partnering with Summits Education, KANPE supports the local public school (400 students), including by providing trainings for teacher. The partnership started in 2017. Fonkoze is the largest microfinance institution (MFI) in Haiti, serving more than 55,000 women borrowers. Fonkoze is “Haiti’s Alternative Bank for the Organized Poor” with more than 175,000 with savings, most of whom live and work in the countryside of Haiti. With its network of 37 branches covering every region of Haiti, it is also the only MFI that is truly national in scope. Fonkoze offers a wide range of services from micro-credit to savings products and money transfer services. The Fondation KANPE is partnering with Fonkoze specifically for the program called Chemen Lavi Miyò, or the ‘Road to a Better Life’. This program reaches out to those who are marginalized. Fonkoze will combine this program with Fondation KANPE to not only offer their community members a way to learn to run a small business but also access to real health care and education services.